Today’s episode is bursting with vibrancy and light on what you can do today to start being more present in your life and make a practice living! Amy Newman is the radiant woman behind Whole Life with Amy who helps people bring in more plants to live their best life. Today she shares soooo much more than plants. I learned sooo much from her!! 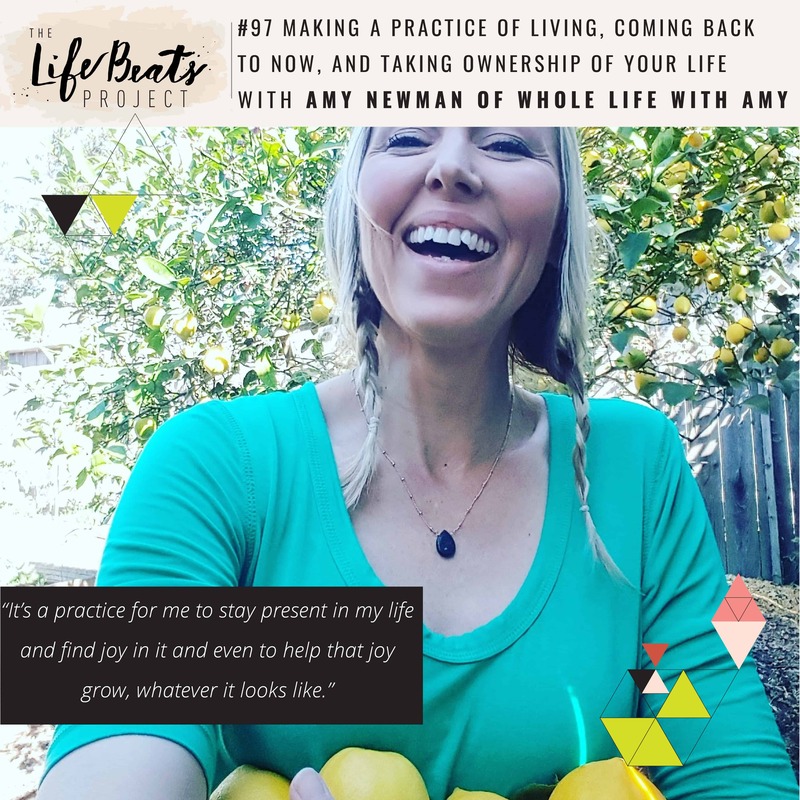 She teaches about her path of taking ownership of her own life, wanting more for herself, and doing those things that served the core of who she really is, that came after her divorce and upon her diagnosis of lyme disease. She gives specific examples of how we can learn to pay attention to our own bodies and the practice of coming back to now. She opens our eyes to distraction and busyness as the means to not having to deal with pain or owning up to our light and awesomeness. She teaches us how she got rid of the distractions so she could really heal and show up as her whole self, tapping into the quiet. She tells her own story that began with being with plants and their vibrancy. I love the story she tells of learning how to honor other’s truths without feeling obligation to adopt them ourselves. Listen and be inspired to practice living, to take ownership for your life, to find the courage to tap into the quiet to get rid of distraction to allow yourself to heal and show up as your whole self.